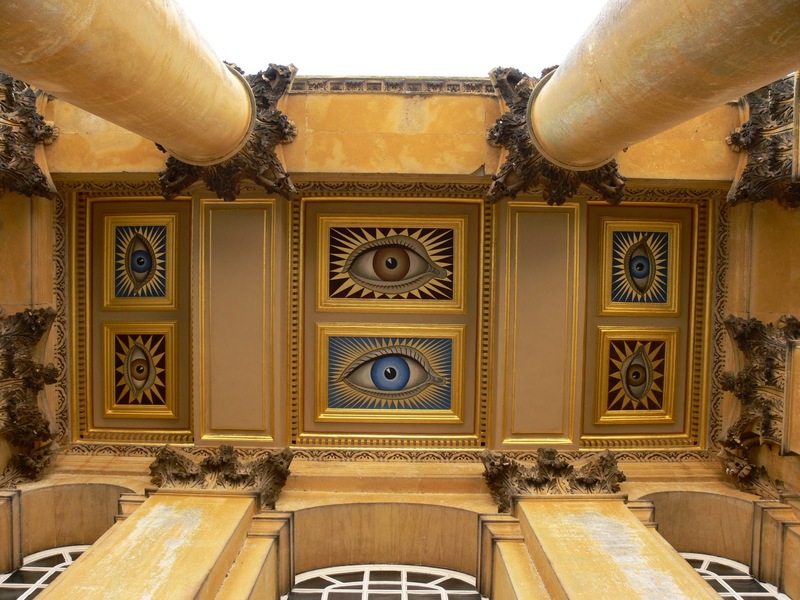 British artist Colin Gill's 1928 depictions of the bright blue eyes of Gladys Duchess of Marlborough (née Gladys Deacon) stare down from the North Portico of her former country house, Blenheim Palace, near Woodstock, Oxfordshire. 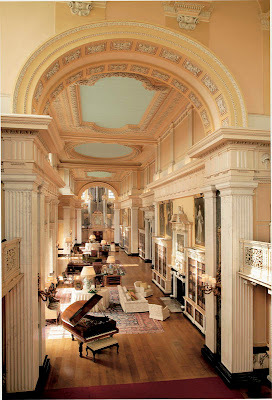 The Marlborough seat is hosting an exhibition about the duchess through 25 March 2011. Image courtesy of Blenheim Palace. The Long Library at Blenheim, site of the exhibition "Gladys Deacon: An Eccentric Duchess." Curated by the bestselling British biographer Hugo Vickers and arranged from end to end of Blenheim’s ravishing Long Library, “Gladys Deacon: An Eccentric Duchess” is an intimate exhibition of photographs, art, and fascinating ephemera, among them a lock of golden hair, a Jacob Epstein bust, suitcases, and Gladys’s personal photograph albums. Last night was the show’s gala opening, and Mr Vickers will be giving a lecture about Gladys and her rackety life at Blenheim on 2 March. To purchase tickets online, go to Blenheim Palace's website. 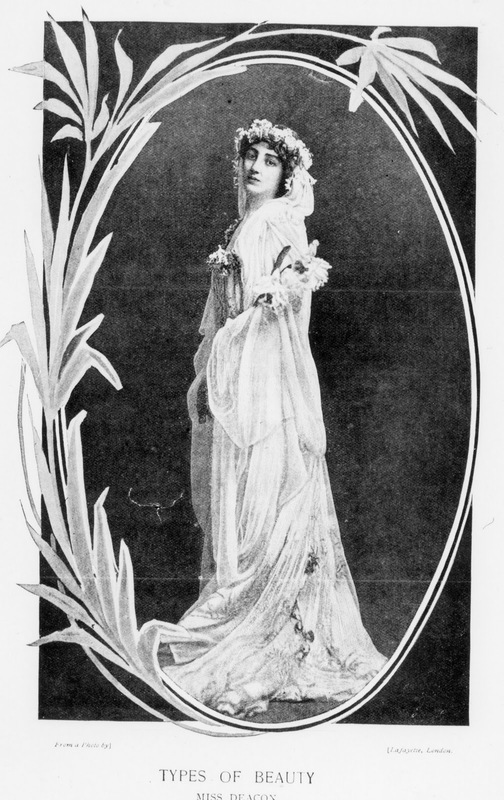 Gladys Deacon, her beauty celebrated, in a photograph by Lafayette. Courtesy of Hugo Vickers. “It’s quite an emotional story, and my involvement with it is emotional as well,” Vickers told me in a telephone interview on Sunday. “When I was 16 years old, if somebody had asked me who I would have most liked to meet, it would not have been Winston Churchill but Gladys Deacon, the fascinating woman who married his cousin.” Vickers befriended the Duchess of Marlborough when he was 23 and spent two years visiting the aged aristocrat, then in her 90s and confined to a psychiatric hospital, feeble rather than insane. The more than 60 interviews that resulted ended up as the foundation of Vickers’s first book, Gladys, Duchess of Marlborough; it was published by Weidenfeld & Nicolson in 1979, two years after its subject’s death. 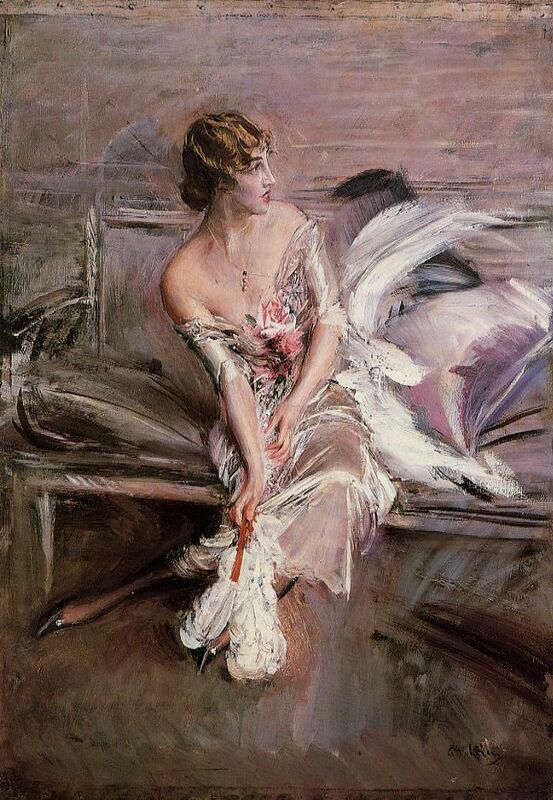 Gladys Deacon, age 27, as painted in 1908 by Giovanni Boldini. The painting is in a private collection. In her heyday Gladys Deacon (the name was pronounced GLAY-duz) was an A-list personality, as renowned for her unsettling beauty—especially those great, staring, crystal-blue eyes—as for her impressive intellect. Writers, musicians, and politicians were in her thrall, as were several dukes and princes. The German kaiser’s eldest son fell head over heels for her though his father put an end to that infatuation; the dandy and poet Robert de Montesquiou compared her beauty to that of an archangel. The self-absorbed Gladys adored being adored, though she seems to have loved no one. Art scholar Bernard Berenson, who met Gladys when she was 17, bitterly wrote of his disappointment in what he perceived as her capriciousness. "I decided to stop seeing Gladys Deacon when I convinced myself that in human relationships she offered nothing but an offensive arbitrariness, pursuing people in a flattering and ensnaring fashion, only so as to be able to break it off with them noisily when the fancy struck her." 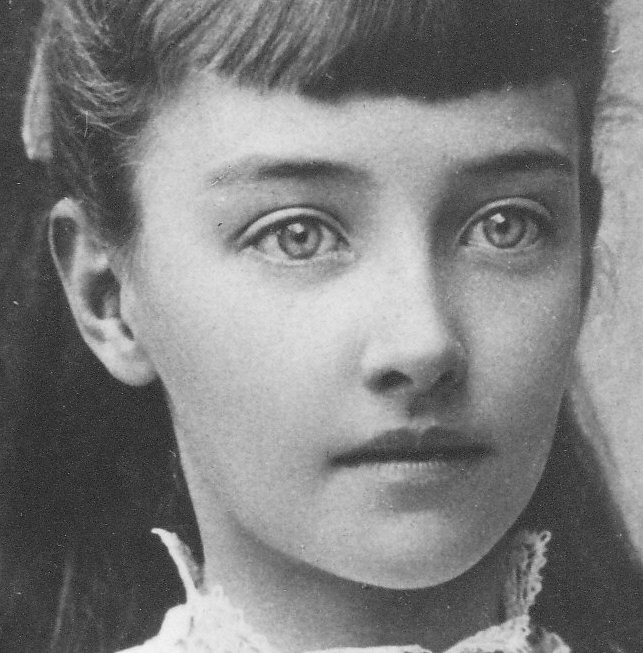 Gladys Deacon, daughter of Florence Baldwin and Edward Parker Deacon, as a young girl. Courtesy of Hugo Vickers. "Gladys Deacon," a 1917 bust by Jacob Epstein. It is in the collection of The Israel Museum in Jerusalem. What became of the fascinating Miss Deacon is the stuff of “Gladys Deacon: An Eccentric Duchess,” which Vickers says should really be called “Gladys Deacon: The Lost Years.” (It includes the lady's numerous scrapbooks, which have never been seen before and are in Vickers's possession.) At the age of 40, on 25 June 1921, she married her lover Charles Spencer-Churchill, ninth duke of Marlborough, following the end of his marriage to her close friend the American railroad heiress Consuelo Vanderbilt. (A morose and irritable man, the duke was perversely called Sunny, a nickname derived from his courtesy title, Earl of Sunderland.) The newlyweds soon realized the union was a mistake—Sunny's only passionate relationship was with Blenheim, to whose survival he was devoted at all costs. Still the duke honored her presence in his life. A pair of long-necked lead sphinxes, cast in Gladys’s image in 1930 by W. Ward Willis, grace the grounds of the palace. A detail of one of Gladys Marlborough's eyes, as painted on the ceiling of the North Portico of Blenheim by British artist Colin Gill. Image courtesy of Blenheim Palace. 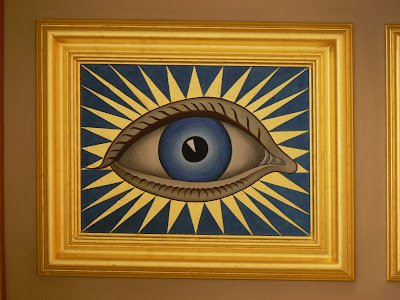 Two years earlier artist Colin Gill (1892—1940) painted gigantic evocations of her famous blue eyes on the ceiling of the portico; the brown ones accompanying them, in some sort of inside joke, are suspected to be Consuelo's but could just as well have been the duke's. 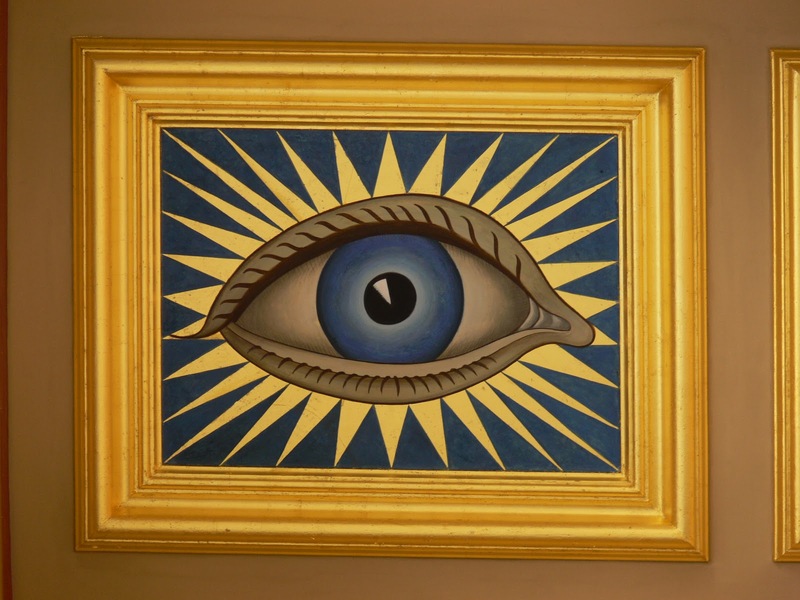 Leaks and weather largely destroyed those surreal orbs and the flashing gilded rays surrounding them, but thanks to the present duke, Gladys’s step-grandson, Gill’s distinctive work was restored to its original glory a few years ago. Gladys Deacon and Charles Spencer-Churchill, 9th Duke of Marlborough on their wedding day, 25 June 1921. The ceremony took place at the Paris home of her artist cousin Eugene Higgins and was described by one of the guests, Linda (Mrs. Cole) Porter as "the most incredibly vulgar performance I have ever witnessed." 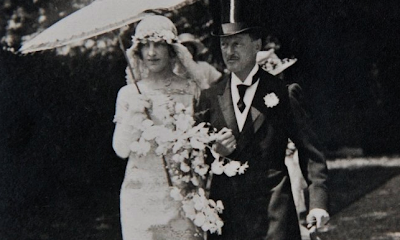 Others witnessing the nuptials were the interior decorator Elsie de Wolfe and several crowned heads, including a maharajah. In Gladys Marlborough, the blueblooded world of Edith Wharton intersected with modern tabloid tawdriness. Her parents’ tempestuous marriage ended when her father, Edward Parker Deacon, murdered her mother’s French lover and then went insane. 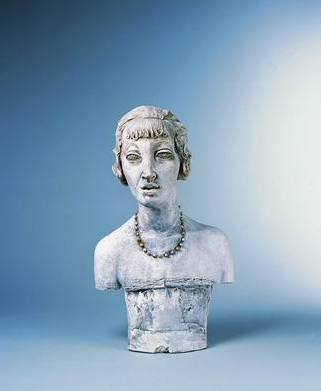 Obsessed with her Greek-statue good looks, Gladys, at age 22, had an enterprising surgeon inject melted wax into the bridge of her nose in an effort to create a perfectly straight line from forehead to nostrils. 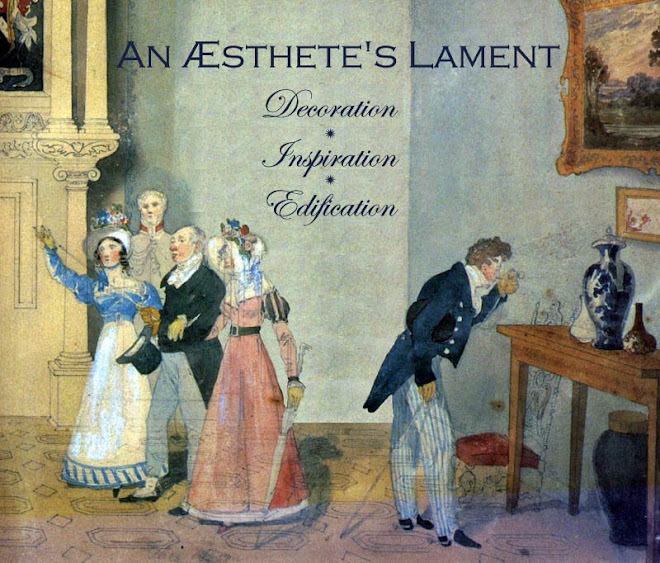 The freakish procedure worked for a while; eventually, however, the wax migrated, settling in her cheeks and along her jawline, somewhat altering a beauty recorded by Rodin, Degas, Boldini, Epstein, and other leading artists. Her enormous aquamarine eyes, however, remained intact, as did that inquisitive mind. 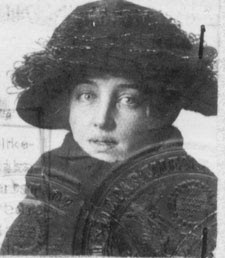 Gladys Marie Deacon, in a passport photograph taken in 1918. Gladys Duchess of Marlborough, died in 1977 at the age of 96. And now, at least through the end of next month, she’s back home. 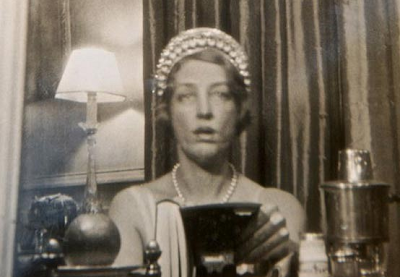 The Duchess of Marlborough, snapping a self-portrait, in 1928. Image courtesy of Hugo Vickers.